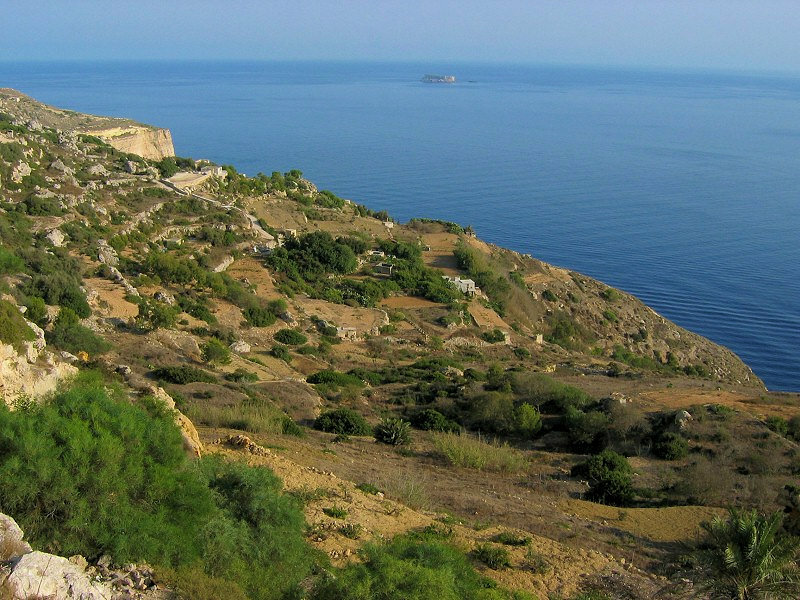 Experience the Woodlands, cliffs and rocky wildlife of Buskett / Dingli area. 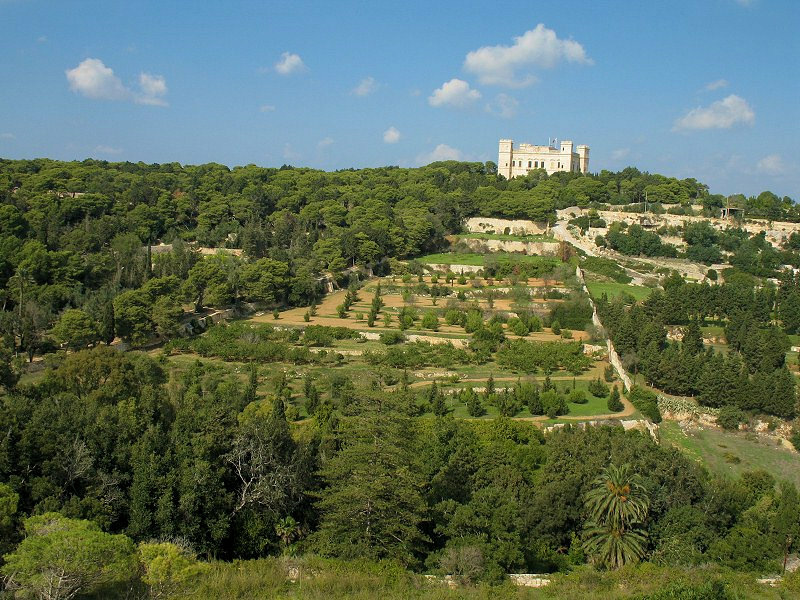 There is only one wooded area in Malta and this is called Buskett (derived from Italian meaning a 'small forest'). This walk start in the heart of this woodland characterised by Mediterranean and riparian trees, shade-loving flowers and numerous birds finding shelter in the numerous trees occurring here. 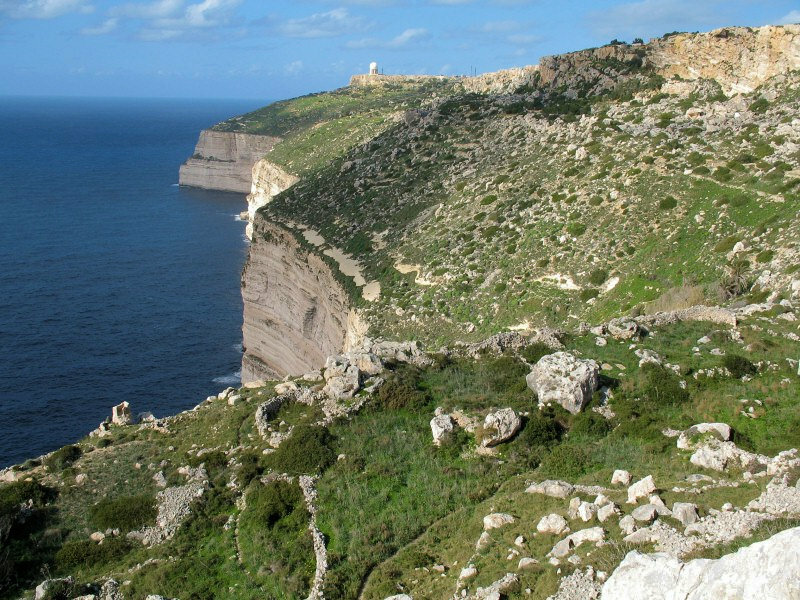 The second part consists of another common habitat of the Maltese islands - the shrub-rich garigue and rocky steppes consisting of coraline limestone rock on which various species pf low growing rock plants and shrubs are common, some flourishing in the arid months of Summer. 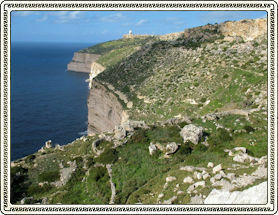 The third part of the walk takes us along the coastal cliffs of Dingli, the highest land in the Maltese islands, with its unique panaromic view towards the southern cliffs and scree. A well balanced tour of three different habitats which would keep your camera and breath busy. This is a peaceful and rather easy walk for all ages along grass pathways and easy rock stepping. 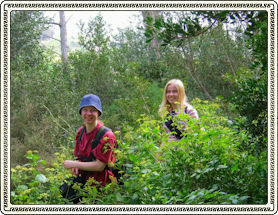 This is the only walk which brings together the 3 different types of natural habitats - Woodland, Garigue, Coastal cliffs. 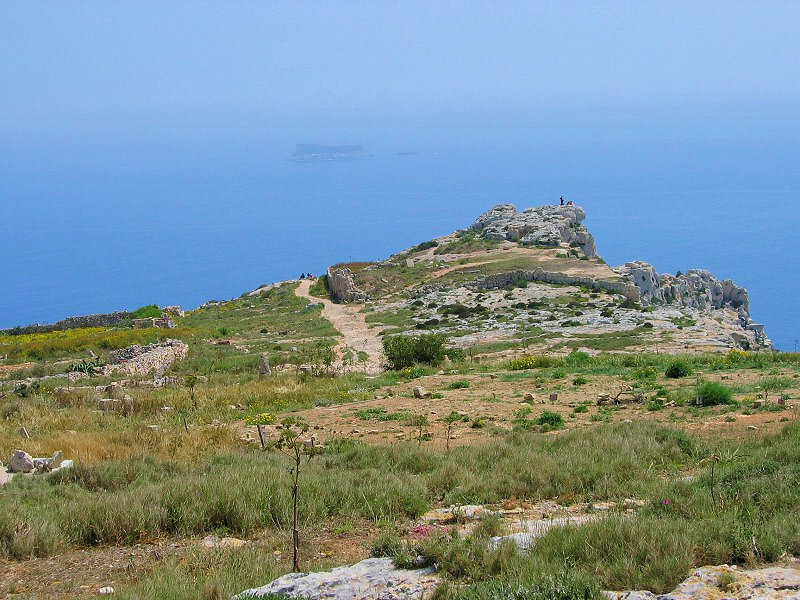 Due to the nature of Maltese topography some pathways are over rocky terrain but this 8km walk is ranked as easy and suitable for any age and kids. 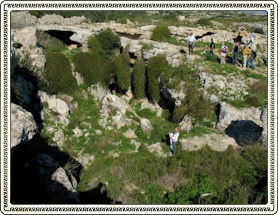 There are several stops during the walk when some interesting plant or panoramic view is met. For groups who just want a long walk, it can be lengthened to 11km. 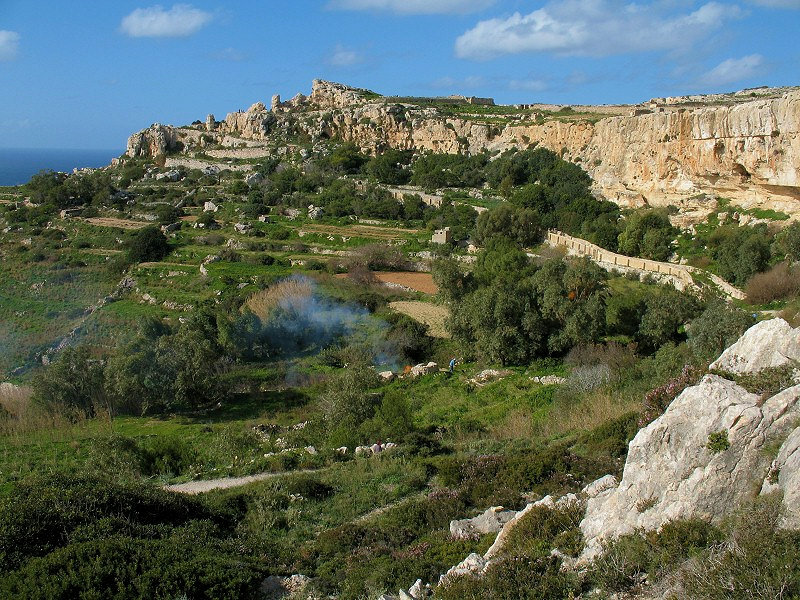 The tour leader is qualified in natural heritage and agriculture and conveys considerable knowledge of Malta’s fauna and flora to lead and offer you an intersting walk and help you experience Malta's countryside at its best. There will be ample time for short rests, own-exploration and photography. The leader is an expert photographer himself so you can abuse for some great photos! Note that in this walking excursion it is obligatory to bring your food and drink with you, since there is no restaurant in the area. The South West area is blessed with a profusion of flowering plants and trees. Depending on the season, one should expect to see, orchids (e.g. Anacamptis pyramidalis, Ophrys bombyliflora and Ophrys fusca), endemic or sub-endemic plants (e.g. species of Romulea, Cistus, Iris, Periploca and more), red carpets of honeysuckle or poppies, snapdragons, asphodels (e.g. Asphodelus aestivus), borages (e.g. the medicinal Borago officinalis and the honeywort – Cerinthe majus), mustards, aromatic plants (mints, fennel, etc), the curious squirting cucumber, and much more. 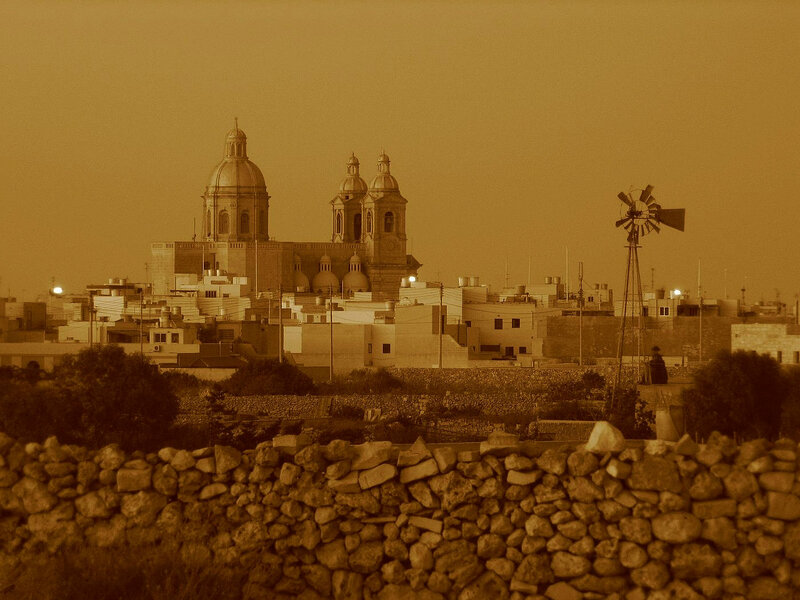 In this location we can see the national plant of Malta too. We will also be accompanied by the various fauna that we encounter on our way such as lizards, butterflies and, if lucky, the camouflaged chameleon. We start about 9:30am at the main tent of Buskett or at the Verdala Palace if coming by bus. 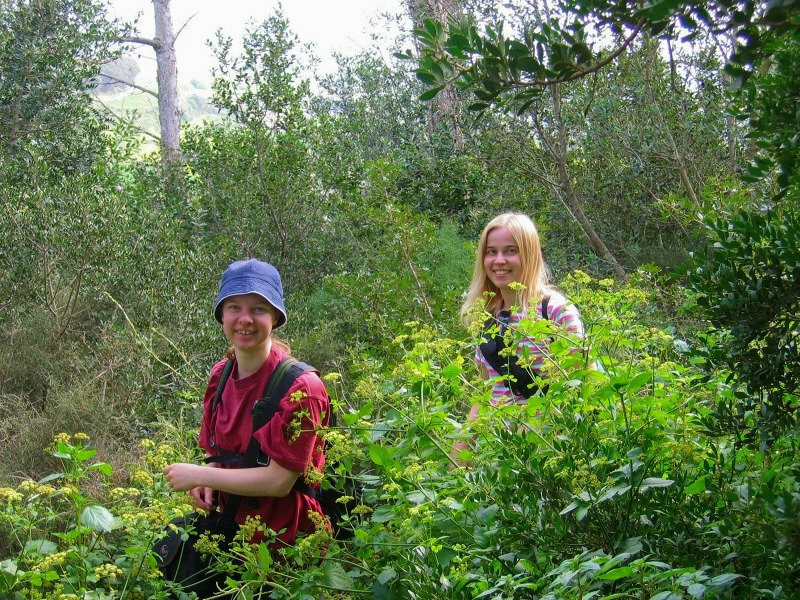 Excursion starts towards the heart of Buskett, adorned with numerous types of Fruit and Riparian trees (including many Mediterranean specimens) of all sizes and shapes. We also pass by a small water course and a natural spring that flows also during Summer after 2-3 months of absolute no rain, hence several water-loving plants can be observed. We then climb to a hilly plataue for a nice view over the whole buskett area, Verdala Palace, and the entire view of Eastern Malta. We make our way to Clapham Junction and the garigue of this area to explore some interesting rocky plants that you would not find in northern Europe or US. Here we find a huge cave were troglodytes used to live in past times. Around 1pm is our official 'Half-time' and finally we can rest for a long picnic launch at a pictoresque view known only to few locals! By 1:30pm we continue further our way to view a huge brick quarry from which most of our houses are built from until we arrive to the coastal area and have a peaceful and easy but rather long walk along Gebel Ciantar and Dingli Cliffs. Here we shall meet the national plant of malta (the Maltese centaury), Orchids, Lilies, Hyacinths, Asphodels, Germander and maritime plant species depending the season. There is also the loadest choir of chirping birds in Malta, and if time permits we can have a look at old local residences in huge caves. We make our last leg along Dingli Cliffs with panoramic views from the highest point in Malta in which Civil Aircrft Radar station is located close by. 200-300 flowering plants or native trees can be seen during this period of time in just one tour! 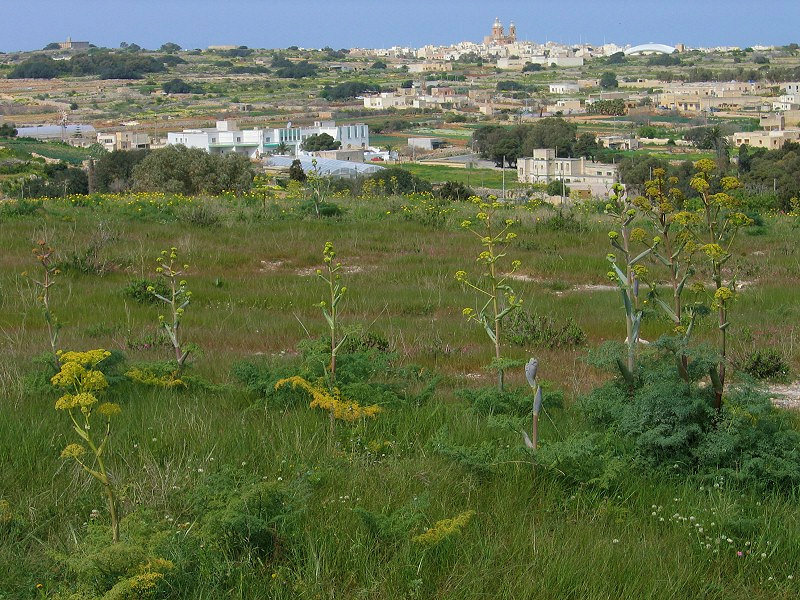 Apart the numerous wild plants encountered during this period one can see the National Plant (in flower only in May-June) and the National tree amongst other endemic (Malta-only) plants! N,B, this tour stops operating from 15th June as it becomes too hot for full day walks. 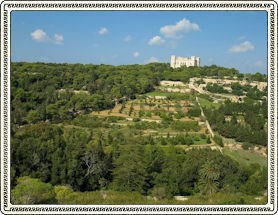 Majestic view of the Verdala Palace (18th century) located in the heart of of Buskett Woodland. Past tourists walking through the trees and shrubs of Buskett. The air is fresh of healthy with singing birds. An outcrop of rocky land at the limits of Fawwara gives a breath-taking views of the coastal cliffs (250m high) and the profile of different layers of sedimentary rock. 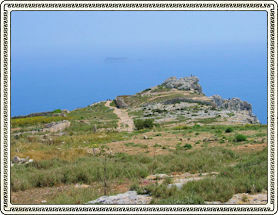 Dingli Cliffs with the island of Filfla (a nature reserve) at the back. A good task for photographers with large zooms. 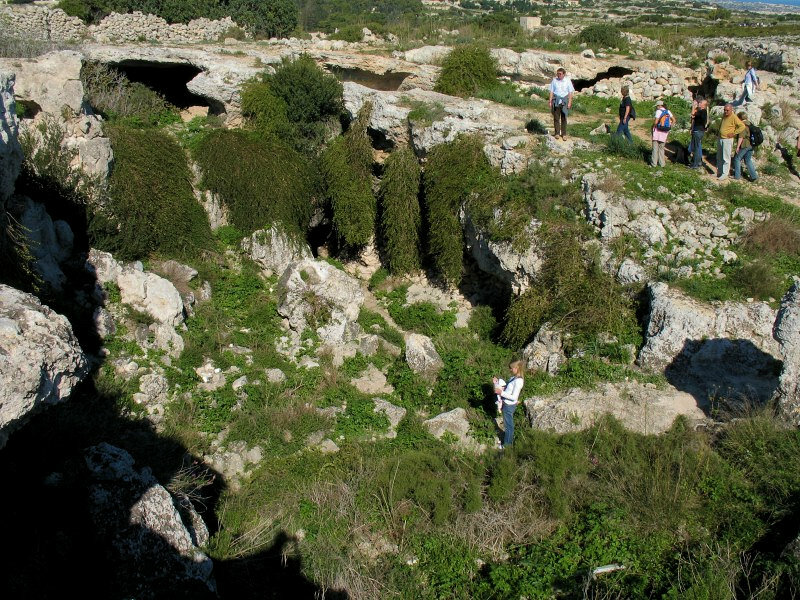 Ghar il-Kbir (the huge cave), the largest cave in Malta which collapsed while dozens of families used to live in during old times. 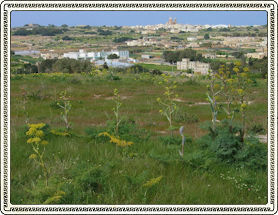 The countryside of Dingli and Buskett during May is coloured by many wild flowers. Cliffs and countryside along the coast with refreshing sea breeze. 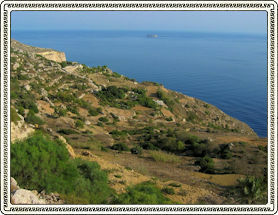 Profile of the sheer Dingli cliffs composed of fice layers of different limestone or clay soil. 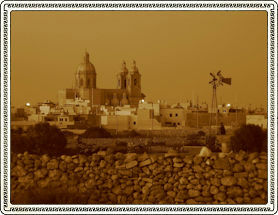 Sepia of the Parish Church of Dingli dedicated to Holy Mary. 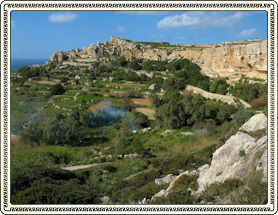 Bonus pic - Panoramic (wide angle) view of Fawwara and Dingli Cliffs. We really enjoyed this long walk along the most spectacular scenes of Malta and fresh air of trees, away from the pollution and overcrowdness of the cities. In Malta colours are so vivid, probably due to the bright Winter Sunlight. Pity that we could not see the National Plant in flower during December, but as the brave tour leader said, we were compensated by the beautiful crocus that flowers only in Nov-Dec. Wonderful day and thank you Steve! Thank you for all the patience you have taken with me and all the plant identifications. I was amazed about the biodiversity of the islands. It was not difficult to book a second tour from you during my 2 week stay on the islands after the excellent tour you have given me in Buskett / Fauwara / Dingli area. Hopefully we meet again next year. A superb tour in nature giving us a good break from shopping, museums and city walks. What stands out was that the pace of the tour was easy and with plenty of time to relax and have breaks on demand, that is no rush for time. 12 points for the tour leader.